Seesaw Plus is our paid offering with advanced assessment tools. 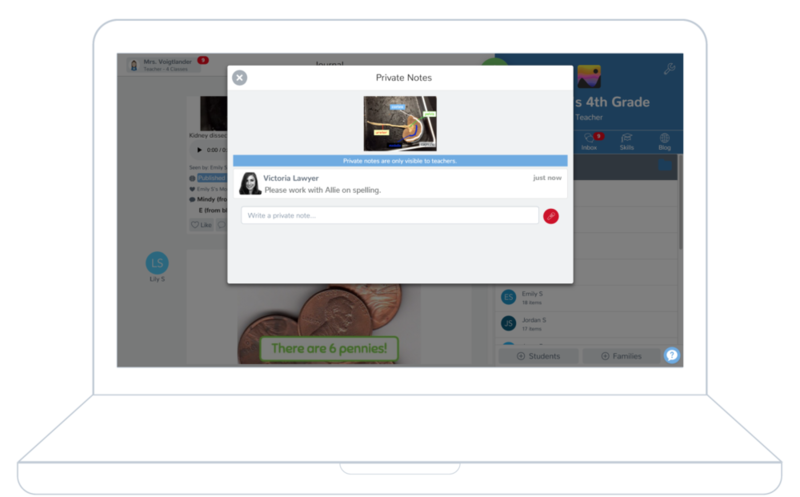 Seesaw Plus features are included with Seesaw for Schools or can be purchased individually by teachers for $120 per year. Teachers using Seesaw for formative assessment can now tag their students’ activities and posts with their own set of skills or standards. Optionally, assign a star rating to student work to get a real-time understanding of how students are progressing towards key curriculum objectives, inform instruction, and save time on reporting. Watch the video! Skills and ratings are only visible to teachers, and are fully customizable to the learning goals your class is working towards. Using Seesaw for Schools, schools or districts can define a school-wide set of standards for teachers to use to track student progress over the year. Save up to 500 activities in your "My Activities" library. Create your own activities from scratch, or customize activities from the Seesaw Activity Library. Activities can be recycled each year or shared across classes! Watch the video! Teachers can take private notes on student work that are visible only to teachers. Type a text note or record a voice note for yourself, or to share with co-teachers in your class. Teachers can add student work into a teacher-only folder. Parents and students cannot view work in the teacher private folder and do not receive notifications about teacher private posts.